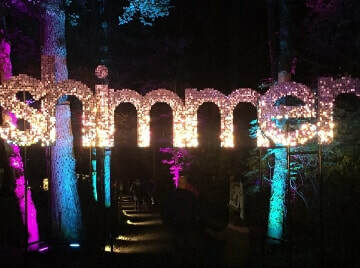 Shimmerwalls was chosen to supply sequin signage to the award winning Sound and Light Event held every year in the Autumn woodland of Faskally Wood in Highland Perthshire. 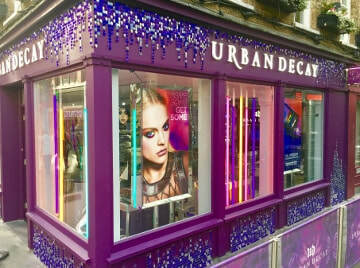 As the theme of the event was “shimmer” a sign made out of metallised foil sequins in 30mm was a perfect match. 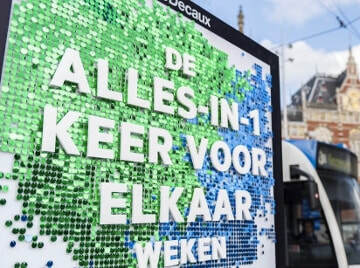 Shimmerwall boards were cut to shape to provide perfectly shaped letters hanging from the sky. This event is considered one of the highlights of the autumn event timetable in Scotland and has won several awards for their innovative set designs. As you can see the effect was stunning and is seen here hanging above the lake.